SACRAMENTO—At its public meeting on January 22, the Judicial Council will consider adoption of a language access plan that would provide a consistent statewide approach to ensure language access for all limited English proficient court users in California. The Strategic Plan for Language Access in the California Courts is the result of an 18-month effort that included public hearings and a 60-day formal public comment period on a draft of the plan. The council’s Joint Working Group for California’s Language Access Plan also calls for the immediate formation of an implementation task force, which would recommend and develop ways to carry out the plan in all 58 superior courts. Governor’s Proposed Budget for Fiscal Year 2015−2016: The council will receive an update on the Governor’s proposed FY 2015–2016 state budget released on January 9, which includes $180 million in new funding for the judicial branch. The update is expected to provide an overview of the Governor’s proposal and the next steps in the budget process. Budget Request for More Security Funding: The council will consider a recommendation from its Trial Court Budget Advisory Committee to submit a budget change proposal to the State Department of Finance to increase funding for court-provided security. 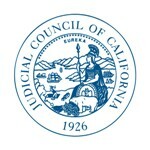 Note: The January 22 and February 19 Judicial Council business meetings will take place in Sacramento, rather than San Francisco, because each of these business meetings will be preceded by a day of council legislative visits at the state Capitol. More than 100 total visits are anticipated over those two days.